Clonshire Equestrian Centre is set on 120 acres of rolling parkland, in the peaceful and tranquil surroundings of Clonshire Beg, Adare, Co. Limerick, Ireland. Whether you are a child or an adult, a beginner wanting to start your journey as a rider, or a rider with years of experience, then it’s time you contacted Dan or Sue Foley. Whether you are a child or an adult, a beginner wanting to start your journey as a rider, a rider with years of riding experience, someone coming to Ireland for a horse riding holiday, someone who wants to learn how to jump, someone who adores dressage, someone who can’t wait to ride on our extensive cross country course or someone who dreams of passing your British Horse Society exams, you are guaranteed to find a lesson or programme or holiday to suit you here in Clonshire. We offer Residential Riding holidays with English language classes for unaccompanied children and also Residential Horse Riding holidays with Stable Management classes for children and teenagers. We also offer Riding Holidays for adults too so make sure to check out our Horse Riding Holidays section to find an option suitable for you! !Dan and Sue Foley have been managing the centre since 1992. Dan is an Equestrian Federation of Ireland Level 1 Coach. 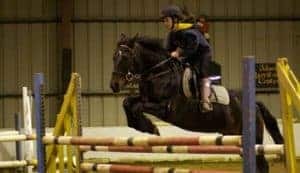 Sue is an accomplished competitor and is a British Horse Society (BHS) certified level II Instructor, as well as being an EFI level two coach.